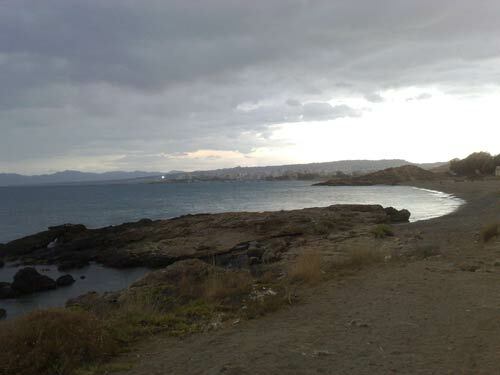 We went for a walk down to our local beach the other day under a very broody sky. As we got near to the beach I suddenly spotted three ginger kittens scurrying along in the undergrowth, trying to clamber up a concrete kerb. They were very small, and very, very cute. "Aah, cute! 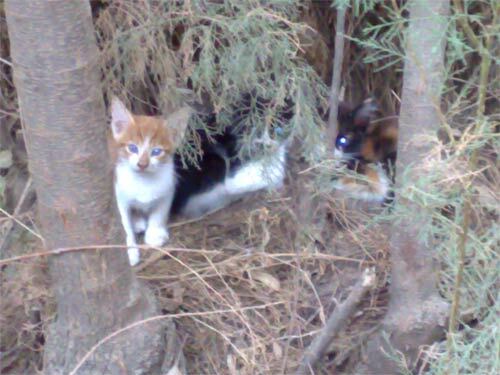 ", we said, and stopped to watch them. Then we saw a fourth kitten. And then we found the box that they had been abandoned in. In all there were twelve kittens, maybe more, as at least one hadn't ventured out of the box. They'd been left out on a bleak stretch of wasteland near the beach. They were far too young to look after themselves, and were just wandering around in a bemused state whimpering and crying in the cold. Thankfully, we think there is a happy ending to the story. 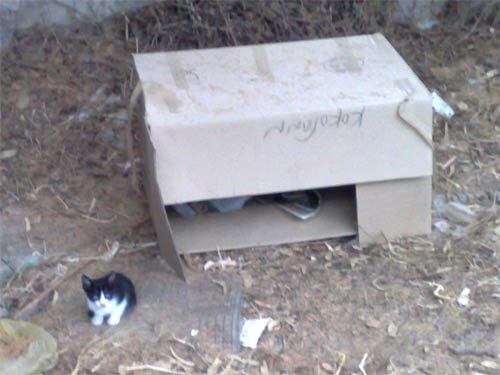 We couldn't take in 13 kittens, and didn't know who to contact, but when we walked down the road the next day there was no sign of the kittens, or the box. It looked like someone must have gathered them up and rescued them. Still, it takes real malice of forethought to have carefully packed them up in a box lined with newspaper to prevent any leakage into your car, and then dump then along a quiet stretch of road to die. 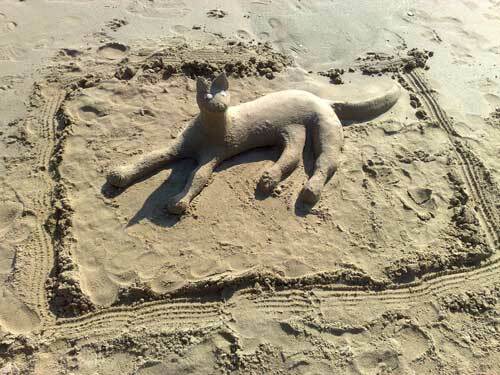 Seeing the 3D cat sculpture on our local beach reminded me of our feline encounter in Macau. Taipa Island, where we were staying, has a little Sunday morning market. They make quite a big thing of it in adverts and posters for it, but in reality it is a very small collection of stalls. The nicest of them by far was 'Meow space'. The artist, whose name we didn't catch, takes her own photographs of cats, and then hand-makes cat merchandise. 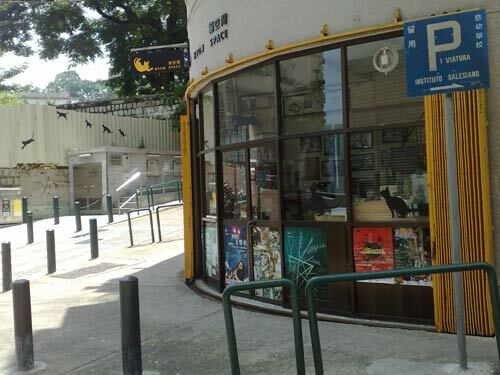 When we were walking around mainland Macau on our way to Penha Church, we came across her studio and shop. In the background, you can see the trademark cats she has painted on the wall opposite the shop. We'd spotted these in several places in Macau, and hadn't twigged that they were her calling card. After our trip to see the picturesque Balos lagoon on the Gramvousa Peninsula, we headed to another new destination on the west of the island, Falasarna. 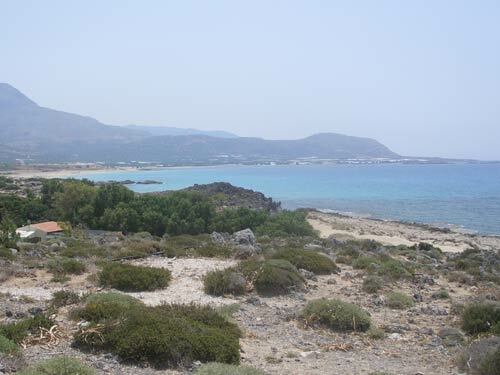 Falasarna is a long strip of beach facing west, and the approach sees you winding down the hillside, passing sign after sign promising the best beach, free parking, the best food and the best apartments. Spoilt for choice, we did what any self-respecting indecisive bunch of people would do - drive on until the road stopped and we had no choices left. 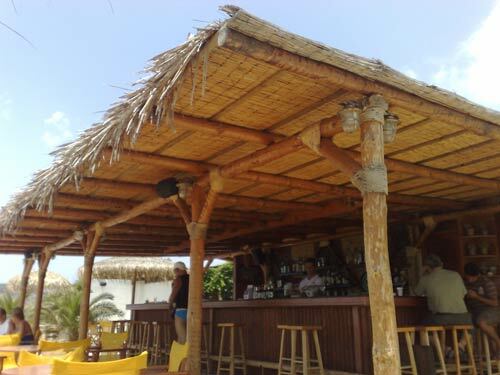 This turned out to be a great idea, as we ended up at a bar with a view out across the whole of Livadi Bay. Here she is dutifully sitting under the table looking forlornly at me in the hope that I'm going to spill some of my food. Does the stork really deliver babies to big cats? "We're in a cage. With birds of prey"
We've met lots of animals since we moved to Crete, like Spiros, geese, turtles (real or imagined) and the kittens at Lefka, and various dogs. This is a list of all the posts about animals we made before Spetember 2007. We see a wild turtle at last - in Hania harbour!